Home / Blogs / May 2017: The Decentralize Your Life Tour, Community Gardening! We are nearing the end of April and beginning of May 2017! This marks 7 years since I first wrote The Houston Free Thinkers blog and began activism in Houston. We are continuing into this anniversary with a growing presence online and in our local community. We continue to be inclusive of all individuals who seek freedom and autonomy from state and corporate power. Our focus is always on local solutions that involve mutual aid within our communities. This means crowdsourcing ideas and solutions that emphasize community power, not state or corporate power. Another method we are using to spread our message of community power and autonomy is through the coming “Decentralize Your Life Tour”! This tour will take a crew of Houston Free Thinkers to 51 cities across the United States as we spread our message, meditation, and music! We will also be doing volunteering at community events in every city we visit. Please see this page for more details on the tour! As for events in May, we are going to host two skillshares. “Intro to Natural Wellness” will focus on herbal remedies and treatments, as well as uses for herbal teas. Our self-defense skillsahre will teach basi self defense tactics. 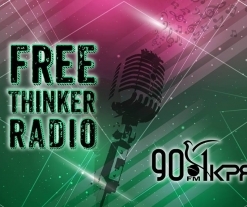 Both skillshares are free and will take place at The Free Thinker House. Stay tuned to our facebook and calendar for upcoming events! We are leaving for the tour on June 1st-15th. We will likely hold another meeting and more events in early July. The Evolution Goes On. Fight For What Matters.